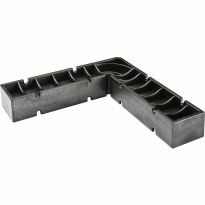 These compact, lightweight Fence Clamps allow you to secure a huge variety of shop-made auxiliary fences to your existing fences without having the clamp interfere with your work. The clamp arm simply fits into a 3/8" hole in the top of the auxiliary fence, keeping it out of the way. That means no more clunky wood screws and C-clamps and no need to screw into your expensive fence! 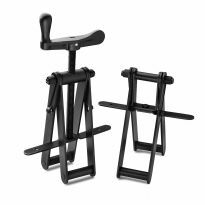 Clamps can be used singly as stop blocks, or in pairs for sacrificial fences, half-fences, resaw fences, and a variety of other fixtures. One set of clamps will do it all! Includes 2 clamps. Much better than using "C" clamps. I have not had a chance to really use these, but in playing with them, they appear very well built and will fill the need perfectly. I use these small clamps when implementing a sacrificial fence against my table saw fence. This way it keeps the blade from damaging my fence and allows me to bury part of the blade in that sacrificial fence. Making a sacrificial fence is easy. I take a piece of plywood, cut it to about 18" long by 4" tall. I drill a couple of holes on one side on top, and then I use the clamps to clamp it to my fence. Simple as that. Bought this primarily for the table saw to set up for dados. 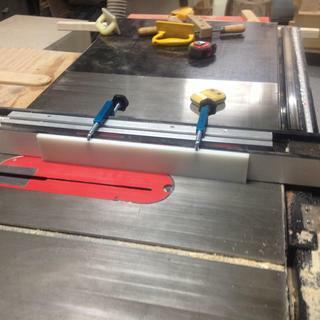 But it has other applications too; stops on table and miter saws. Really handy addition to shop accessories. Multiple uses. Sturdy. Might seem silly, but great to have a product so colorful. Easy to find with old eyes. Quick and handy--and more secure than using c-clamps. trying to cut very thin stock againts the fence is hard because the wood slips under the fence. 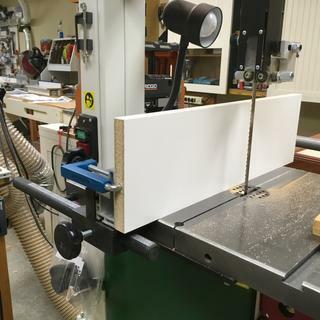 This allowed me to make a clamp on fence that sits flush on the table saw table. I use them a lot. Great clamps for holding corner jigs and sacrificial fences on the table saw. These clamps are very versatile and useful. The fence clamps work great! Simple and effective. I picked up 4 of these and find myself adapting many jigs that attach to a fence or for sacrificial pieces. Very handy and well made. Just get a set and you will find many clever uses for them. Very handy tool especially since it doesn't hamper the face of the add on fence. Great quality!! Have been using them on all kinds of different projects! Gonna have to buy a second set! 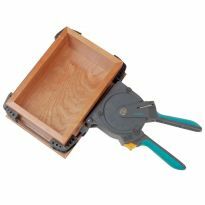 Must have for all table saws use all the time with a starter board to crosscut with the fence. Great for protecting rip fence. Works great. No more nicks or scrapes on rip fence. Work perfectly, I should have put something between the clamp screw and my fence (it left a circular mark on my aluminum fence, that is my fault not Rocklers). Great clamps, worked as advertised. Have not used yet, but are well made and should do the job well. They will work well for some odd angle glue clamps I intend to modify for these clamps. You can use this for table saw and the band saw. This is my second set I got a set for both machines. I gave them 5 stars that they deserve. Saves having bar clamps in the way. Do they job I bought them for, can see other possibilities, like custom pads on the wire end. I put a bit of dry lubricant on the screws to eliminate the small amount of steel on aluminum chatter they had initially. Holding HDPE thin stock fence to Sawstop fence. Well built and work exceptionally well. Easy to change out fence when needed. These are really handy clamps. I would recommend them to any wood worker. Fantastic Item that has multiple applications in the shop. The clamp does exactly what it is intended to do. This makes setting up so much easier. I love it. I use these fence stops on my router table and chopsaw. Versatility, and if I can't find a dovetail L bolt, I'll make one. For use with the corner clamps I recently purchased. Easy access to put a sacrificial fence system. Very handy. My previous sets were "borrowed"
LOOKS LIKE GOOD CLEVER DESIGN FOR FENCE CLAMP ATTACHMENT. WANTED TO GIVE IT A TRY. Will go with my clamp it brackets I just purchased. Seems like the best way to add an aux fence to my table saw. 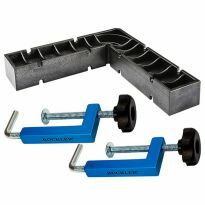 To use with my 4 Rockler square corner clamps that I have been clamping with other clamps in the shop. Your picture of the Rockler Clamp-it square with universal fence clamp package sold me on the idea since I already had the square clamps. Already have other components of Clamp-It system. Adding versatlity! Needed for my dado set/fence. Making sacrificial fences for my table saw and router table. Great clamps for table saw fence. Great idea for setting up a sacrificial fence on my SawStop ! These can also be set up for stop blocks for repetitive cuts on my Slide Compound saws ! Can't get much better than this. Rockler Rocks !!! I wanted to use something other than the big clamps to hold the corner braces in place. Made a nice auxiliary fence for my table saw and needed a better clamping system than F-clamps I was using. 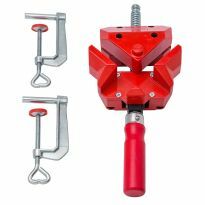 Great clamps at a great price. This is why i am ordering from rockler. No one else has these clamps. Nothing better than a tite firm fence when woodworking! These will be perfect for a project for my wife! When clamping a sacrificial fence to my rip fence, it sometimes is a pain to make sure the clamps are completely clear of the workpiece and don't get in the way of my hands. These secure the fence and are completely out of the way. 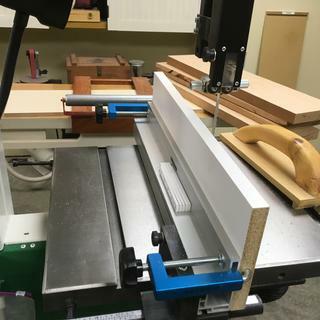 Using with a custom table saw fence and Rockler Adjustable Clamp-It Assembly Square. Looks like a handy tool I can put to good use. 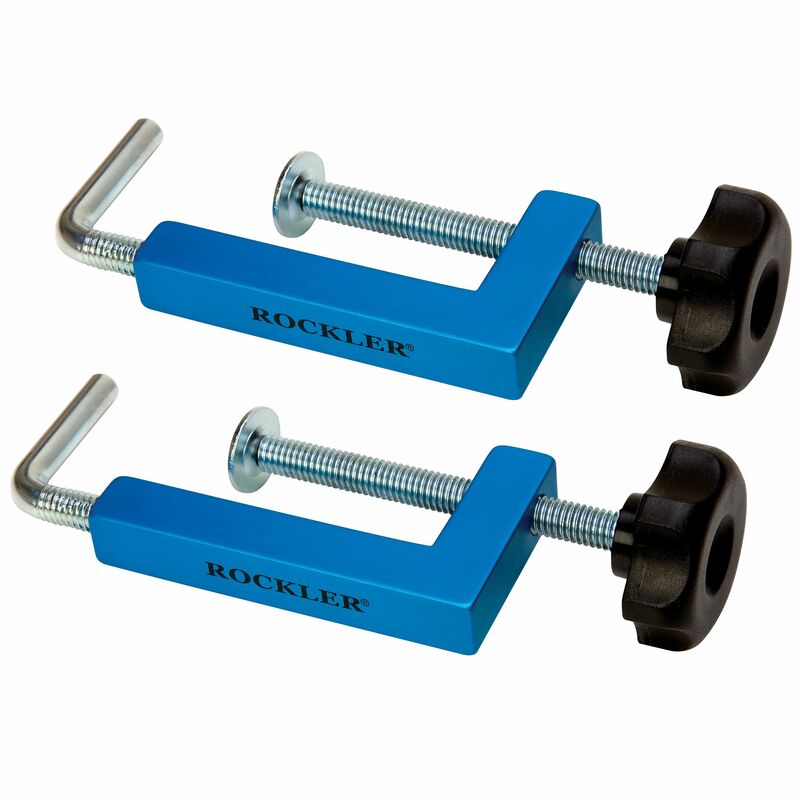 I'm buying these clamps because of their specific function and the trusted Rockler name. I think they will be just what I need. Work great with my clamp-it assembly squares for cabinet assembling. These have been on my wishlist for awhile and now they are on sale! I got two for jigs. Is this price for a pair of clamps or for a single clamp? Fence clamp. $14.99. It was the price for two clamps! The price is for a pair. Their effectiveness would be diminished by using only one. Why don’t you just read the description that clearly says it is for a pair? These come as a pair. Mine were on sale for $10. I received a pair of these for that price. The price is for a pair of fence clamps. yes, this is for a pair. Two came in my box!! what is the widest it will open? BEST ANSWER: 5 3/4 is a good figure. It can actually go to 6" but kind of wiggly that far out. The spec says 5 3/4"
From the inner peg to the clamp foot I got 6". The inner peg I screwed out till it fell out and screwed it back in till it was stable to pull apart and that was six inches. I don't know how much torque you could put on it, but I was pulling on both ends pretty hard. Anyway the gap is six inches max. You can get another ¼ inch of opening (over 5-¾"), but the fixed side literally will be hanging on by a thread. These numbers refer to clear space between jaws. Because I am in my easy chair and not out in my shop, I will answer the question this way; these clamps open wide enough to clamp on my SawStop Saw's fence affixed to 3/4 sacrificial stock. However wide that is and sorry for not providing exact measurements. They open 2 ways; the screw knob but also the end piece rotates in and out for precise control. I love mine and after getting them, I ordered a second pair. Hope that helps. can the clamping (right angle bent steel) bolt be replaced with a T-slot bolt to hold down a guide bar? BEST ANSWER: The L-shaped bolts are completely removable, and there's no reason why they couldn't be replaced by a T-slot bolt of similar thread dimensions, however, I know of no T-slot bolts that are as large as the bolts used in the L-shaped clamps. They are larger than 3/8-16. my guess being 7/16-14. If you can find a T-slot bolt of that size, you should be able to swap the two at will. Hope this helps. Do the round ends rotate or are they fixed? BEST ANSWER: The L shaped silver bolt is threaded so you can change the gap with both the knob and the bolt. So the bolt rotates 360 degrees. They are threaded and make the clamp longer or shorter. 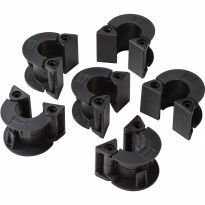 I bought a set of Rockler Clamp-It® Assembly Squares some years back and they came with what looks like these exact same clamps. I tried using them in this way and found that they weren't deep enough to securely grab on to the fence. The aux fence actually would tilt out from the bottom slightly because the clamp didn't extend far enough into the board. Are these the same clamps, or have they been redesigned? If these are the same, maybe I was doing something wrong? BEST ANSWER: I’ve used a couple sets of these, but can’t say if they’re different than the ones that you have. 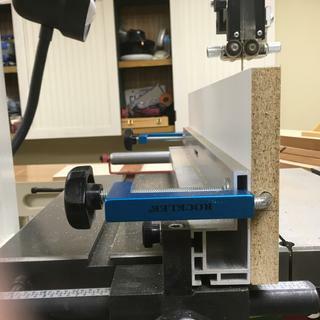 I use them to hold a router jig to my tablesaw fence, as well as auxiliary fences to the table saw fence. One idea to solve your problem might be to bend the tab that goes into the auxiliary fence slightly, to ensure the clamp is putting pressure as low as possible on your auxiliary fence. Did you drill holes in the aux fence to put the rods into?! You need to do that for it to work. Does anyone know the diameter and thread spec of the L shaped bolt? The diameter of the L shape rod is 5/16 and the thread is 3/8-16, hope this helps. Terrific! Very helpful,l thank you. will these work on my delta uni fence? BEST ANSWER: Probably so. I used them on a contractor saw and now on my cabinet saw and they fit both fences fine. You shouldn't have a problem.